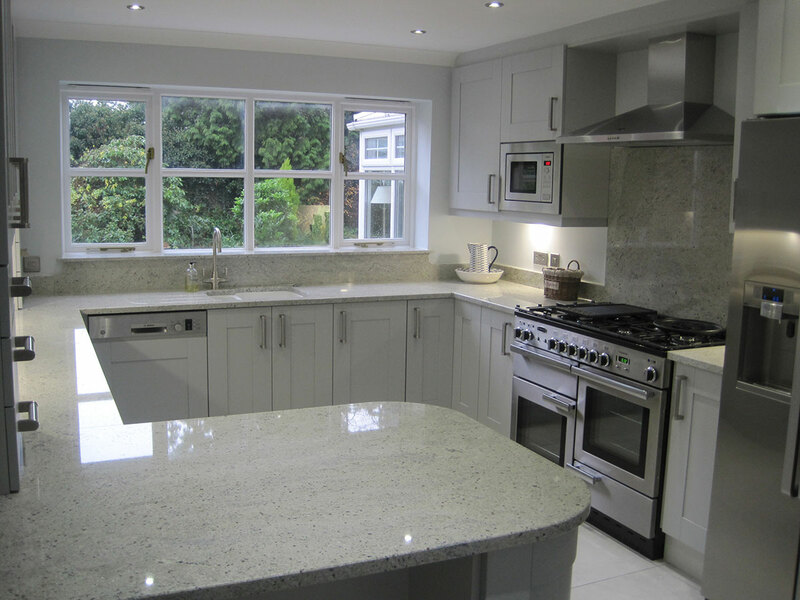 One of the more famous and well-known white granites on the market is Kashmir White granite. This stone is quarried from several parts of southern India and is in reasonably high demand. This stone doesn’t change appearance with changes in lighting, and you can still observe the subtleties in the granite even in low light. You won’t see a lot of variation with this stone, meaning it’s going to look fairly similar to its photograph. There aren’t significant mineral veins or large pockets of mineral deposits so you can expect a pretty consistent grain. 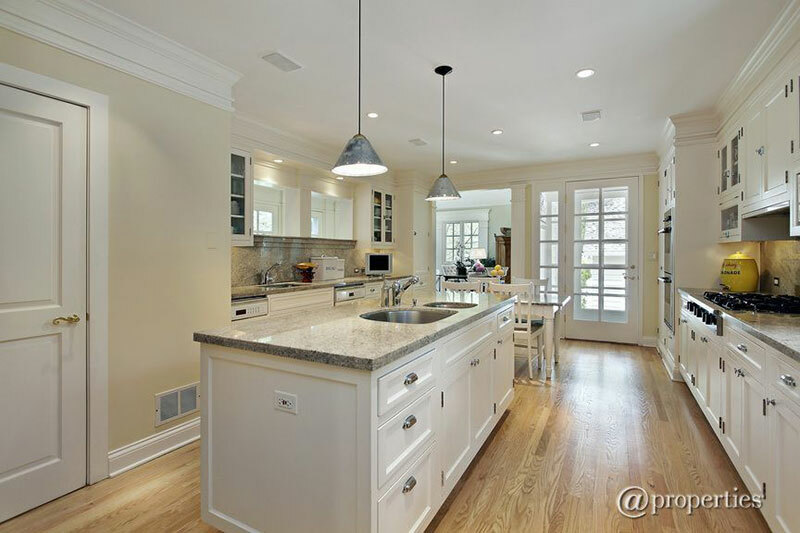 White granite is typically more porous than darker granites, and therefore stains easier; Kashmir White is no exception, unfortunately. Even with proper sealant, you still have to take care when cleaning the surface and avoid harsh chemical cleaners. 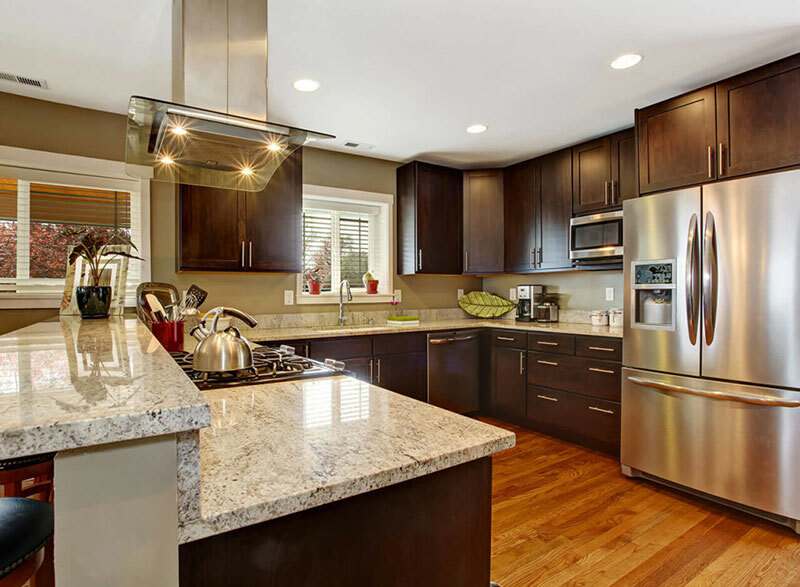 What Color is Kashmir White Granite? As the name suggests, this is a predominantly white stone and has a bright appearance. It looks neat and uniform from afar, but there is a real beauty when you look up close. 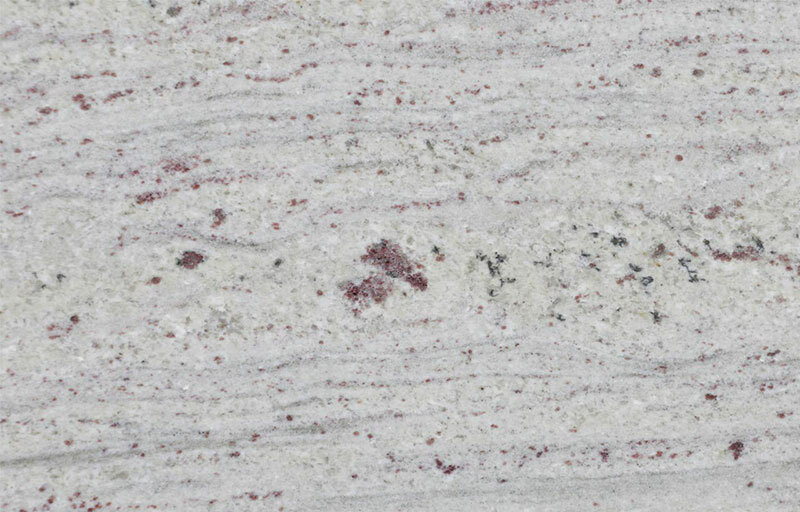 Kashmir White has pockets of cream and flecks of browns and garnets. The bedrock is a bright white, setting a strong backdrop for the common light gray mineral. This mineral ranges in color from almost white to a medium gray, and what makes it particularly interesting is that under certain lighting, those gray minerals will take on a subtle reddish tinge. Another subtle mineral is the brown mineral dotted throughout. This takes on soft colors ranging from light yellow to light brown, but it’s hard to distinguish from the white background. The brown mineral may be more or less visible in certain light, but the effect is soft. You’ll also notice interesting little flecks of garnet colored minerals scattered throughout. These can range in tone from dark red and burgundy to dark brown. It is less common to see these minerals in the brown end of the spectrum, but you do see it occasionally. 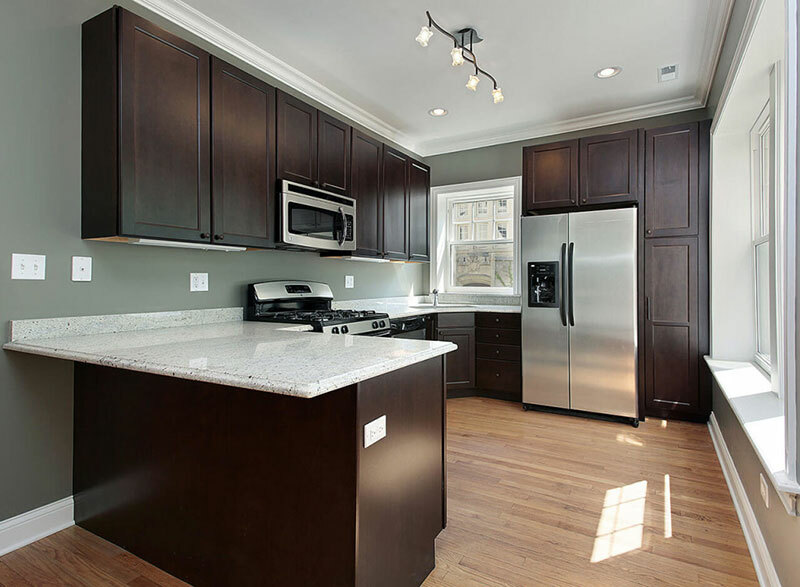 What Cabinet Colors Go Well with Kashmir White Granite? 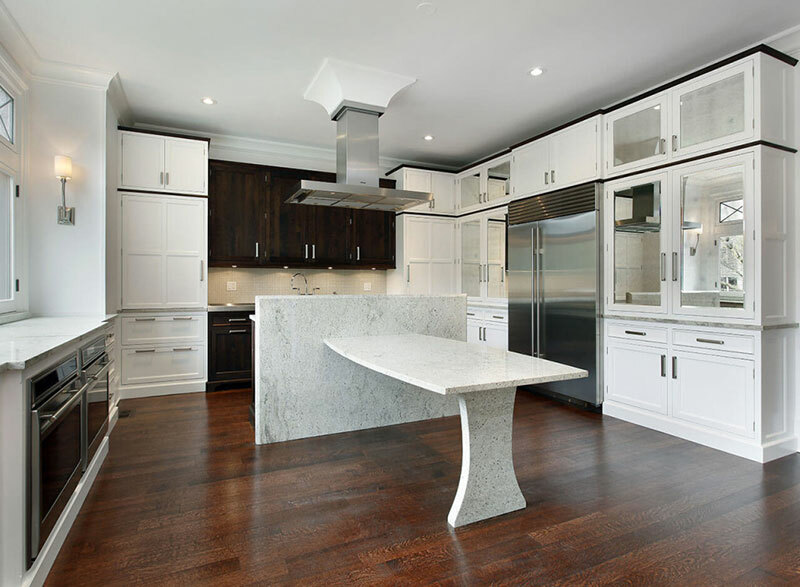 When paired with white or light cabinets, Kashmir White granite makes an elegant statement while still making the room feel light and bright. 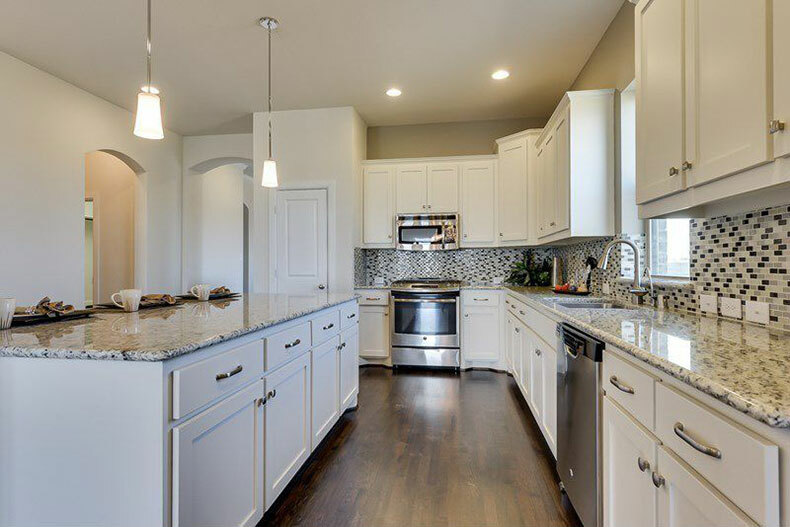 The white cabinets sit neatly against the cool grays of the stone, and the stone is just dark enough to stand out against the white. 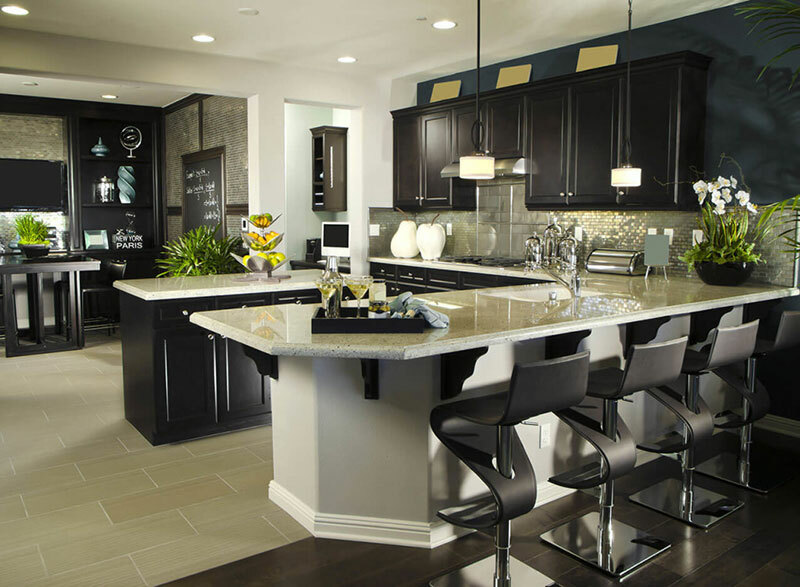 If you match a Kashmir White countertop against a black cabinet color, you’ll get a strong contrast that creates a modern feel. A unique feature to this stone is the small pattern size. 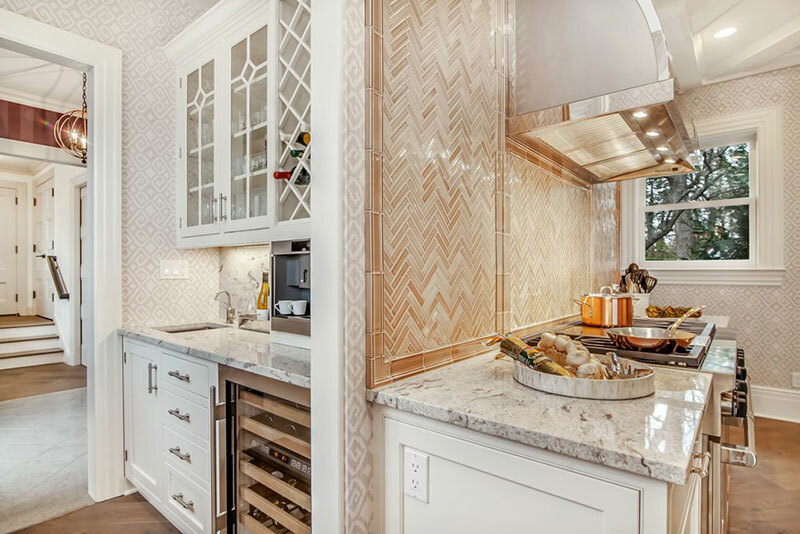 There aren’t large obvious patches or striations, making this a particularly good stone to match with patterned tiles or wallpaper. 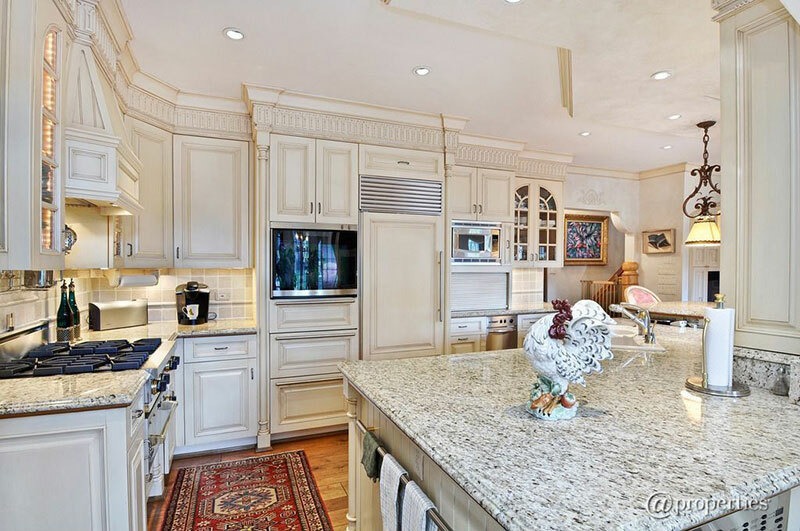 How Much Does Kashmir White Granite Countertops Cost? 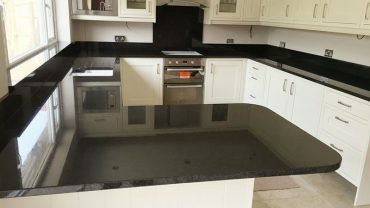 As it is in relatively high demand, Kashmir White granite can be a little expensive; a 3 cm thick slab will cost approximately $60-70 per square foot, and a 2 cm thick slab will cost $50-60 per square foot. This may not be the most economical option to cover a large area. Cost – Kashmir White is very popular and costs accordingly. 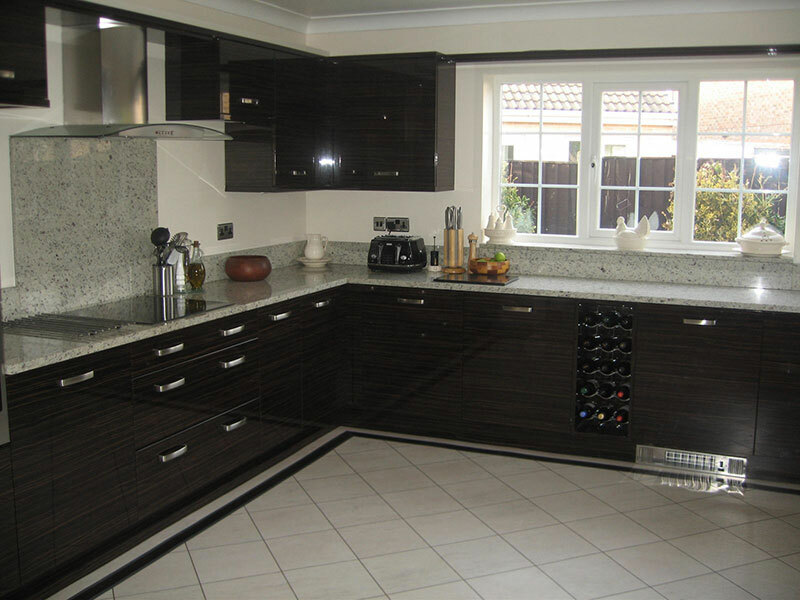 Kashmir White brings a stylish accent to any kitchen without dominating the room. 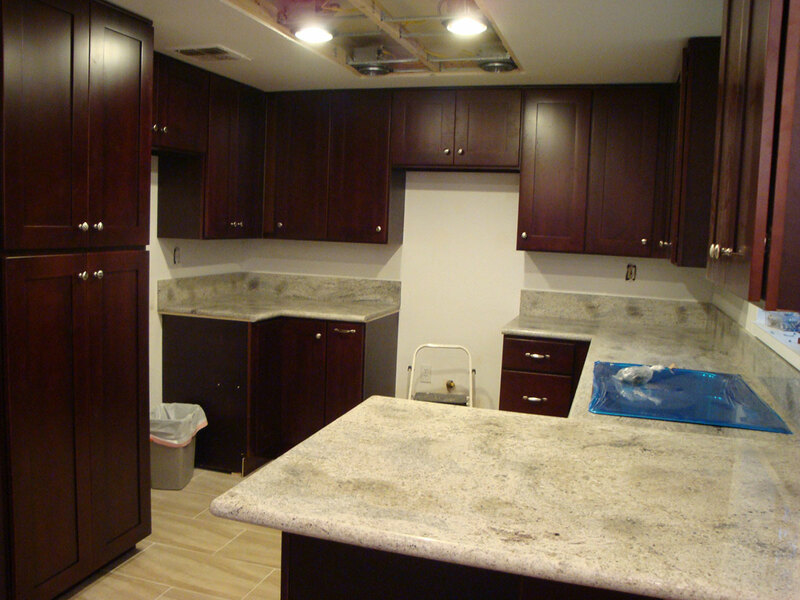 It’s bright, clean appearance adds light to kitchens and bathrooms, making it one of our top choices for countertops.